Winter can be very different depending on where you live. Many things are the same when it comes to preparing for the wonderful season of winter. However, many waters differ from that of Florida and California. Here are some tips to prepare your home if you live in a more tropical climate. Most tropical climate winters include enduring droves of rain. What can be done to have your home in top shape for the very soon coming winter season? Rain is great for plants and trees. This makes them grow tall and strong. In the process of that they need to be cared for and maintained. Before the heavy winds and rain come through for the winter its advantageous to trim your trees. Storms can cause limbs to break off and cause a lot of property damage. While you’re trimming your trees get some mulch and put a small layer of it over the base of your plants and bushes. These things may seem small but by doing this you’ll be helping to keep them warm while the colder weather comes. With the rainy season on its way you’ll want to make sure that your home’s system of water distribution is properly working. Tropical climates are humid themselves, add more rain and it just starts to climb. This a breeding ground for mold and mildew, which is a typical problem in such climates. However, when your home’s system of distributing water away from the home isn’t working properly then you increase your risk of mold and mild growing. You’ll want to inspect your home’s rot to make sure the shingles or tiles aren’t broken or missing. Clear any debris that might be blocking water from draining properly to your gutters. 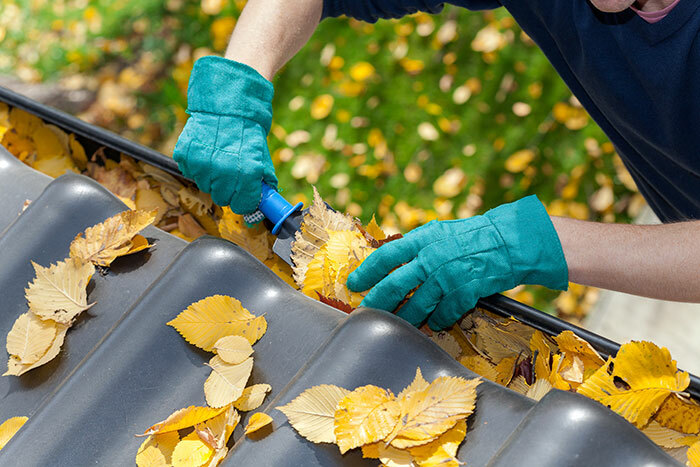 Then check your gutters and clear any leaves, dirt, twigs and the such from in them. You want to make sure that there aren’t any blockages because if there are then water will start to run down the side of your home and into the soil around the foundation causing mold to grow. Water will find its way into any and every crack that it possibly can. Making sure to seal up the cracks around your home. If not taken care of, then a slow yet damaging process can start to happen. Erosion and mold become prevalent and by the time that you catch it, it’s too late. Doors and windows over time can start to crack becoming a culprit to mold and mildew. Caulking to fix such minor cracks is inexpensive but can save you a lot of money in the long run. Take the time on a weekend or evening before the winter comes to make sure your home is ready. Your home is an investment so make sure to protect your investment. There is so much that needs to be done throughout the year. Keep your home looking beautiful and functional. It’s the best way to maintain the beauty of your home. Raymus Homes knows what goes into building a home and maintaining one, especially a home that is in a tropical climate. We know the homes that we build are ones you’ll love and call home. Take a look at what the beauty of our homes in our gallery.